Hello to all the lovers and followers of this blog, I hope you all are enjoying what we are doing and on this site. 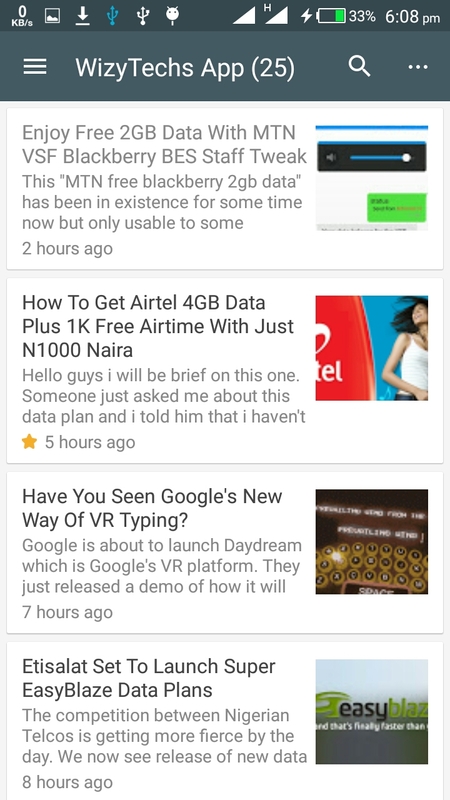 We are dedicated to providing you with the latest free browsing tweaks, most affordable data plans, reviews on the latest smartphones, electronic gadgets, android, iOS and PC tricks, How TOs, tech news and lots more. Well, I have developed the official application that will let you&nbsp;have all our updates right there at your fingertips. We believe it is one of the best ways to keep you updated and never miss any useful update on this great blog. This new app is designed in a way that you will get notifications on latest working free cheats on your phone. 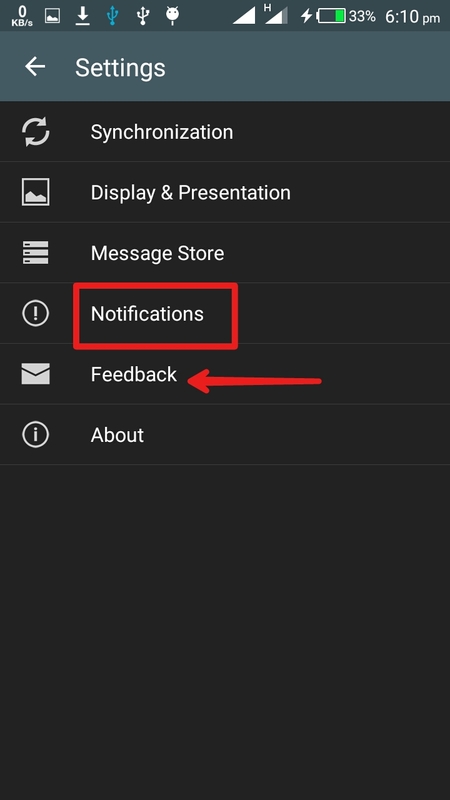 At default, the notification is on silent mode but you can choose your favorite song or tune as the notification tune. If you don't want sound, you can enable the only vibrate feature to get beep whenever a new article arrives. 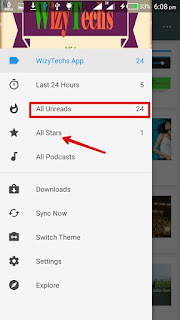 ==> Ability to click on blog post title and read it. and lots more. Just test this app and see for yourself. 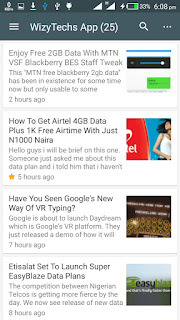 It's available on Google Playstore and it's a very useful tool to keep you in touch of what you like best. Windows and iOS version coming soon! The app is simply designed in a way that even a novice can be able to use it without finding it difficult. You can help distribute by sharing with your friends. KINDLY SHARE IT WITH YOUR FRIENDS!!! Wizy Baba you are too much. I gbadu you. Wow finally diz v cm 2 reality. More grace 2 ur elbow my big bros.
Pls note that Whatsapp chat is strictly for business purposes alone. Any other questions or requests should be asked here. Why can't I read a whole article from the app?? Why must I goto the website to do that?? That's wonderful. It was kinda frustrating to click a post on the app and you'll be redirected to a website. Thanks for the update. Nice one Wizy. Confirmed. Easy nav, I love this. I just downloaded the app. It is beautiful and awesome. It even loads faster than UC browers at times. wizy I downloaded ur app but I can see anywhere to comment, u also said we can reach u tru d app I didn't see ur emails or fone number, u said we can open another website tru it how? Hi Kenny, to comment you have to open the article or post you want to comment on. Just tap on "visit website" to load the article (via the app). Once the post is loaded, look at the end of the post, you will see comment box where you will type and send ur comment. You will also see other peoples comments if they have also commented. As for how to reach me via this app, you will see it and many other features when you tap on the menu tab at the top left corner of the app. Just tap on it and see other options. 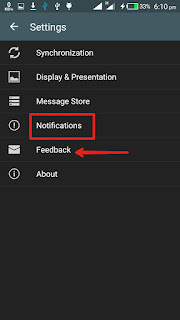 Click on the settings option and you will see "feedback" simply tap on it to contact me. Noted but its faster than most browsers in term of Browsing speed. it has the basic features that are needed. 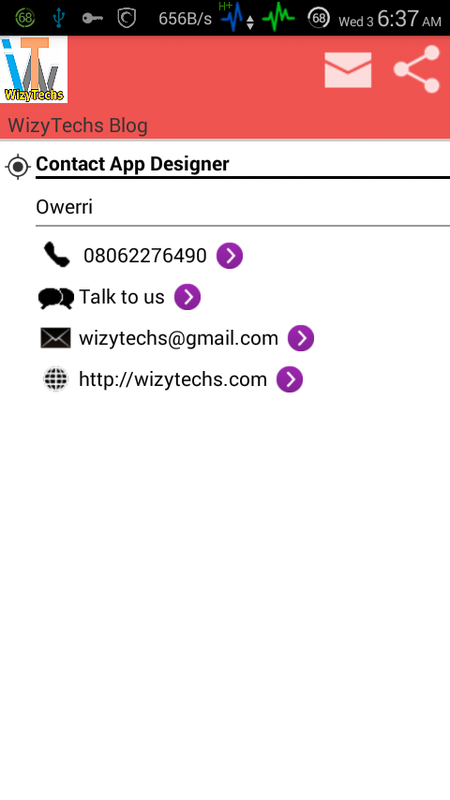 App not installed on my phone please wizzy reply me what can I do. Please add 08050268364 to Whatsapp group. Kudos for the app update. Wizy Baba. Pls I hv a question to ask that might be off the discussion.. Can iCloud really be unlocked on iPhone 6? 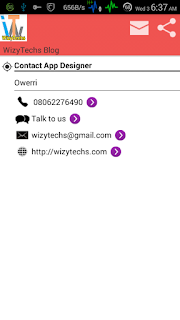 Thank you Wizzy baba for the prompt reply. You too much abeg. So how can I contact you? Until recently i started having problems when commenting and replying.